Don't let these moments just be memories. Make sure you capture them forever. Relocation and restructuring have added new services to our growing business. In addition to our Real Estate Internet Marketing efforts, SuziBee Designs by Black Eyed Susan Photography has grown in leaps and bounds. SuziBee Designs, our design brand, has been keeping us “Busy as a Bee.” With the expansion, we are currently building a new website to reflect the brand and its offerings. While under construction, please visit us at our Etsy Store to see our latest additions. With the popularity of SuziBee Designs, it has become necessary to limit our photography offerings. While prior clients will always be a priority, we are only accepting only a few engagements each year. Please feel free to drop us a line or give us a call. Our Etsy Store offers “Fresh and Fun” designs and templates for yearbook and program ads, birthdays, weddings and anniversaries and posters. We also offer branding & logo design for photographers and small businesses. Voted as Tampa’s Top 10 Photographers Since 2011. Our fresh, fun and fantastic style is what keeps us at the top. 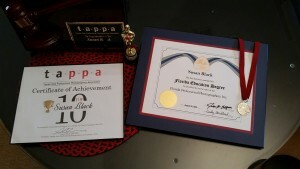 Susan Black has been awarded the Florida Education Degree (FED). 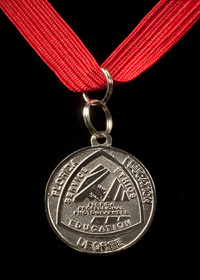 In recognition of Susan’s pursuit of academic excellence, she has attained this degree. The FED is earned by attending annual conventions, school, and seminars hosted by the FPP, as well as the PPA and SEPPA. In addition to earning her degree, she was also named for the 4th consecutive year, one of Tampa Area’s Top 10 Photographers for 2015. We are so proud of her accomplishments. 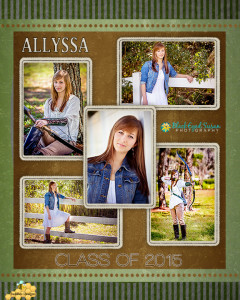 Our YEARBOOK ADS & GRADUATION ANNOUNCEMENTS are stunning! CELEBRATE YOUR ACCOMPLISHMENTS IN STYLE! Select from instant ready-made options or an exclusive custom design. Life. Those four letters do little justice to nearly 2 billion seconds the average human gets to experience, yet each one of those seconds is precious. Some of those seconds are more precious than others because they really tell us who we are and what we are made of. Moments like the first time we took the training wheels off our bike and rode directly into uncle Frank’s car, or that awkward moment on the porch of our date’s house on prom night while another set of parents seemed to weigh you carefully on some unseen scale. These moments are surpassed by more serious moments, such as the first kiss of a married couple at a wedding, the throwing the hats at a high school senior’s graduation day, or the first time that a pregnancy was showing. These precious moments seem to fill only a tiny fraction of the nearly 2 billion seconds that an average person might live, and yet these are the moments that we talk about and think about the most. Why? Because these are the highlights of our lives, and these are the moments that we choose to capture in photographs. Black Eyed Susan Photography specializes in capturing your special moments because we know that life has a lot of seconds that could be better-filled remembering and sharing some of our greatest accomplishments, or even some of our silliest mistakes. Whether you plan on hanging a breathtaking portrait of your family over your fireplace or entering the digital age and setting up a website and/or social media profile, Black Eyed Susan Photography is there to help to capture those memorable events that will tell others about you. We specialize in Tampa Portrait Photography, Tampa Senior Photos, Tampa Head Shots & Corporate Photography and more. What do you want your fondest memories to look like? Let us know how we can help you capture the best and brightest moments of your amazing life story today!